"Face The Autumn" by Family only "bubbled under" nationally ... but was a #12 Hit here in Chicago. 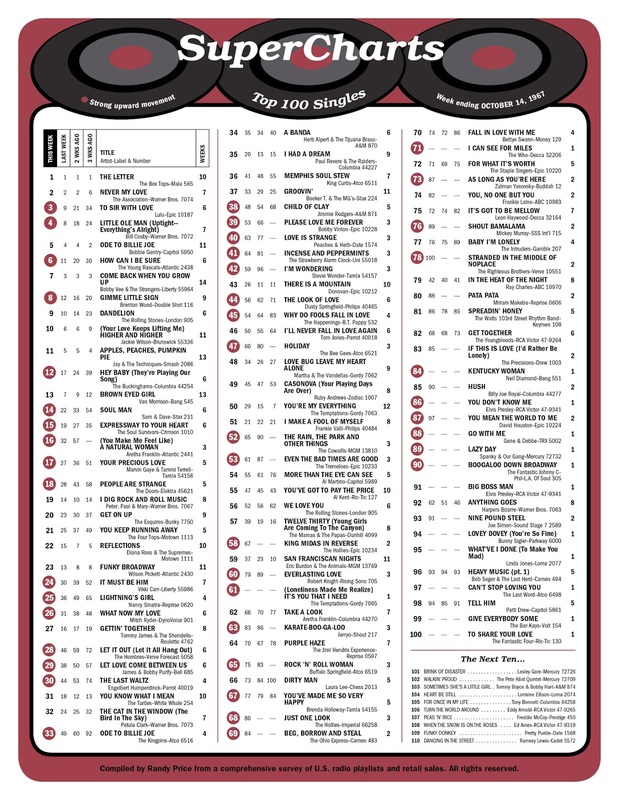 The Temptations have the top debut on this week's chart with "It's You That I Need," which comes in at #61. Also new on the charts this week is "I Can See For Miles," still one of my all-time favorite records by The Who, which premiers at #71. "Kentucky Woman" by Neil Diamond premiers at #84 … and the Billy Joe Royal hit "Hush" sits one spot below it at #85 ... Deep Purple will be inspired to do hard rock versions of BOTH of these songs next year … weird that both of their first two chart hits will come from the same chart time frame! "Love Is Only Sleeping" is given consideration as the next Monkees single. This idea is quickly scrapped although there was still talk at the time about making it a British A-Side. (It never was) It was decided instead that "Daydream Believer" would be released instead as a "companion" single to the new album in November … a VERY wise move as it may just be their most popular track ever. Pat Boone, one of the owners of the Oakland Oaks, sang the national anthem at the first game of the new American Basketball Association. The Oaks won the game, beating The Anaheim Amigos by a score of 134 – 129. The Oaks were founded in February of this year as The Oakland Americans, but changed their name to The Oaks just prior to the start of The American Basketball Association’s first season. They would go on to win the ABA Finals the following year with a record of 60 – 18. After moving to Washington in 1969 and then Virginia in 1970, the team would fold in 1976 and the ABA itself would dissolve that same year. Amazing that all these years later, Pat can still reflect back on this venture with a sense of humor ... this clip is priceless! 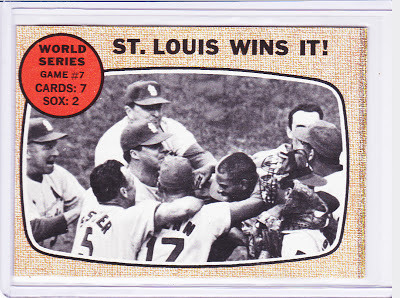 Game Seven of the 1967 World Series matched up the two pitching aces for The St. Louis Cardinals and The Boston Red Sox, Bob Gibson and Jim Lonborg. Each had won two games thus far … but this was Gibson's game. 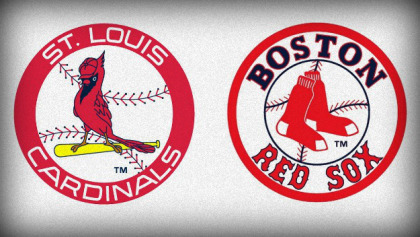 Holding The Red Sox to just three hits, The Cardinals prevailed and won the game AND the series by a score of 7-2. 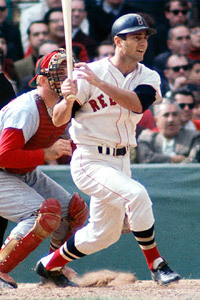 Gibson helped his own cause by hitting a home run, winning his THIRD World Series game of the contest in the process. 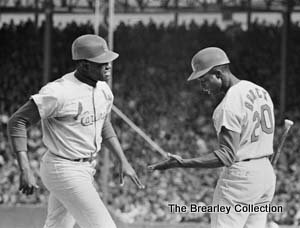 Lou Brock stole two bases to give him seven total in the series. 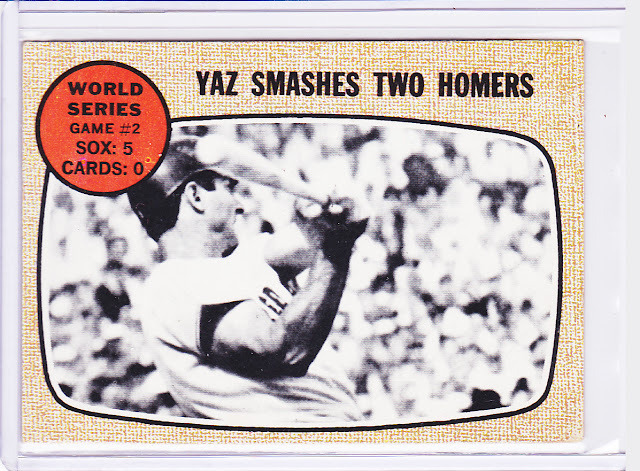 Carl Yastrzemski hit three home runs, which was good for a .400 batting average. 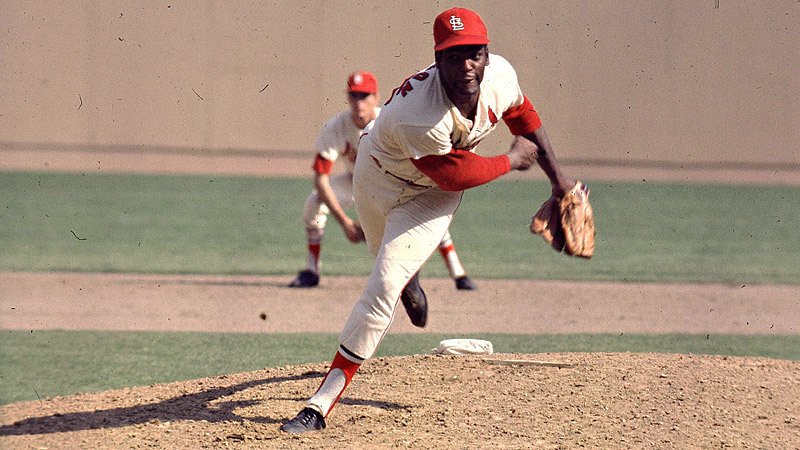 How good was Bob Gibson? Three wins and a 1.00 ERA. Plus he hit a home run. Now THAT's pretty tough to beat! 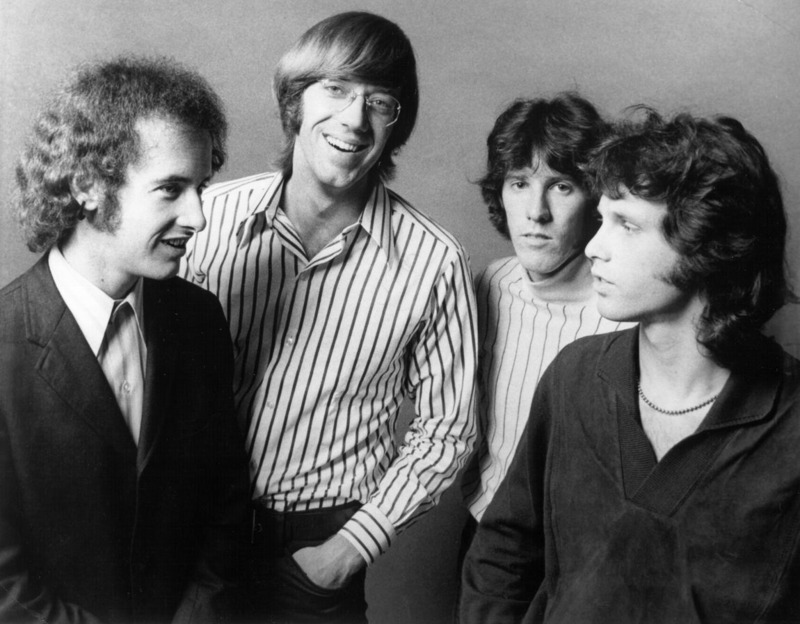 The Doors performed at The Surf Club in Nantasket Beach, Massachusetts. Climbing toward The Top 40 on this week's chart we find "Incense And Peppermints" by The Strawberry Alarm Clock (up from #64 to #41), "I'm Wondering" by Stevie Wonder (#59 to #42), "The Look Of Love" by Dusty Springfield (#58 to #44), "Why Do Fools Fall In Love" by The Happenings (#54 to #45), "Holiday" by The Bee Gees (#60 to #47), "The Rain, The Park And Other Things" by The Cowsills (#65 to #52), "Even The Bad Times Are Good" by The Tremeloes (#61 to #53), "King Midas In Reverse" by The Hollies (#67 to #58), "Everlasting Love" by Robert Knight (#79 to #60), "Rock And Roll Woman" by Buffalo Springfield (#75 to #65), "You've Made Me So Very Happy" by Brenda Holloway (#77 to #67), "Just One Look" by The Hollies (#80 to #68) and "Beg, Borrow And Steal" by The Ohio Express (#84 to #69). Speaking of The Bee Gees, they reach the #1 spot in England this week with their latest hit "Massachusetts". Here in The States, "Massachusetts" will be released next month and eventually peak at #11. 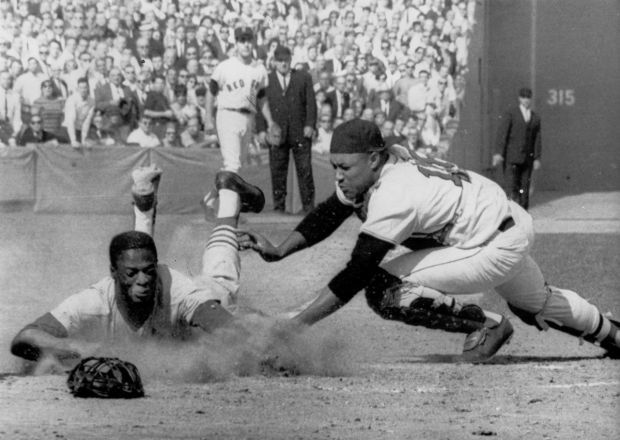 Boston keeps things interesting by tying up The World Series at three games apiece, beating The St. Louis Cardinals by a final score of 8-4. There were five home runs hit in this game including two by Rico Petrocelli, one by Carl Yastrzemski (his third of the series) and one by Reggie Smith for The Red Sox and one by Lou Brock for The Cardinals. In other sports, the 51st season of the NHL begins today with six new expansion teams, the first time the "original six" has ever been expanded. New franchises include The St. Louis Blues, The California Seals, The Philadelphia Flyers, The Minnesota North Stars, The Pittsburgh Penguins and The Los Angeles Kings. On the opening day of the season, in a match against The Pittsburgh Penguins, Jean Beliveau of the Montreal Canadiens scored his 400th career goal. The season wraps up May 11th after The Montreal Canadiens swept The Philadelphia Flyers in four straight games during The Stanley Cup Playoffs. The single “The Last Thing On My Mind” by Porter Wagoner and Dolly Parton is released, the first of 14 Country Top Ten Singles they would record together. The Outer Space Treaty, signed into agreement earlier this year, is officially entered into force today. It prohibits any nation from placing weapons of mass destruction on the moon or elsewhere in space. 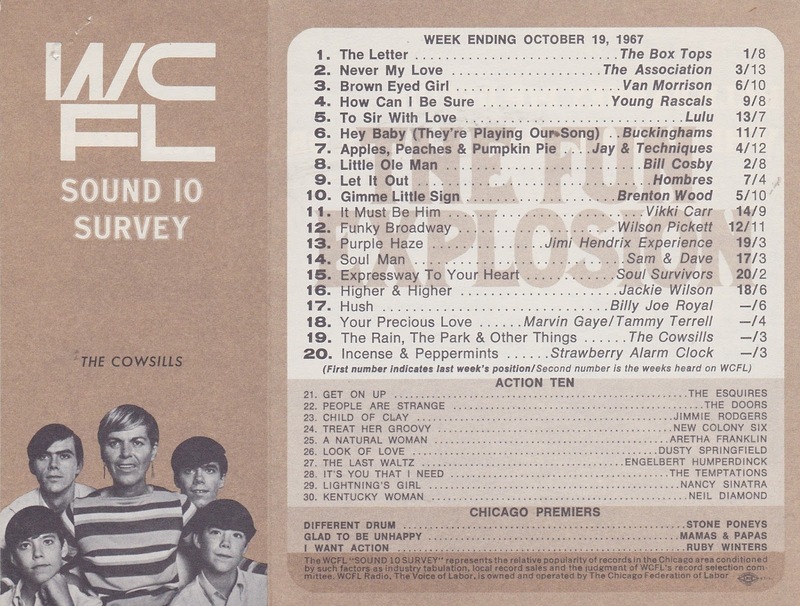 "The Letter" by The Box Tops and "Never My Love" by The Association hold on to their #1 and #2 spots respectively on this week's chart. Gaining fast are "To Sir With Love" by Lulu (up from #9 to #3 … and a sure fire #1 hit), "Little Ole Man" by Bill Cosby (#8 to #4), "How Can I Be Sure" by The Young Rascals (#11 to #6) and "Gimme Little Sign" by Brenton Wood (#12 to #8). Top 40 Hits earning a bullet this week include "Hey Baby, They're Playing Our Song" by The Buckinghams (up from #17 to #12), "Soul Man" by Sam and Dave (#22 to #14), "Expressway To Your Heart" by The Soul Survivors (#19 to #15), "A Natural Woman" by Aretha Franklin (#32 to #16, a jump of sixteen places), "Your Precious Love" by Marvin Gaye and Tammi Terrell (#27 to #17), "People Are Strange" by The Doors (#28 to #18), "It Must Be Him" by Vikki Carr (#30 to #24), "Lightning's Girl" by Nancy Sinatra (#36 to #25), "What Now My Love" by Mitch Ryder (#31 to #26), "Let It Out" by The Hombres (which jumps up eighteen spots from #46 to #28),"Let Love Come Between Us" by James and Bobby Purify (#38 to #29), "The Last Waltz" by Engelbert Humperdinck (#44 to #30), "Ode To Billie Joe" by The Kingpins (#49 to #33), "Child Of Clay" (#48 to #38), "Please Love Me Forever" by Bobby Vinton (#53 to #39) and "Love Is Strange" by Peaches and Herb (#63 to #40, a jump of 23 places). 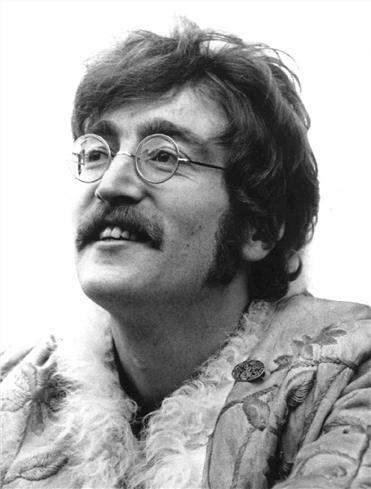 John Lennon turns 27 today. 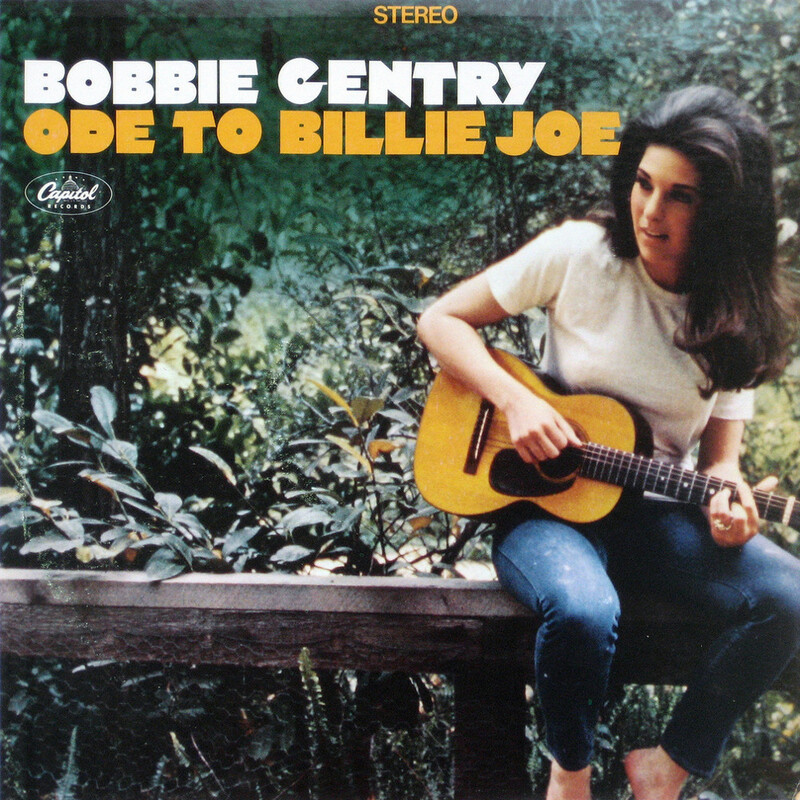 We've got a brand new #1 Album this week as Bobbie Gentry's "Ode To Billie Joe" continues to take the country by storm. It is SO unlike anything else we've heard and the intriguing murder / suicide storyline continues to captivate its audience. (Truth is nobody really knows just WHAT the heck happened on The Tallahatchie Bridge … so speculation runs rampant!!!) The odd thing is by October 9th her single has slipped down to #5 on the Pop Singles Chart, having spent its four weeks at #1 in the month of September. But this record had mass cross-over appeal … kids, parents, pop and country all embraced it. The original line-up included some spacey sound effects called "Special Announcement" as well as the track "Goin' Down" that would be used instead as the B-Side of their next single. SIDE ONE: "Special Announcement" / "She Hangs Out" / "Salesman" / "Cuddly Toy" / "Words / "Don’t Call On Me" / "Goin' Down"
SIDE TWO: "The Door Into Summer" / "Hard To Believe" / "What Am I Doin' Hangin' 'Round" / "Peter Percival Patterson's Pet Pig Porky" / "Pleasant Valley Sunday" / "Daily Nightly" / "Star Collector". It will be re-sequenced into the running order we all know and love on October 19th. 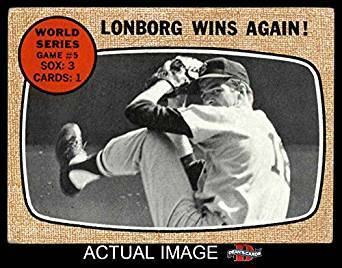 Down 3 games to 1, Jim Lonborg is back on the mound for The Red Sox today … and he comes through with a 3-1 victory over The Cardinal's Steve Carlton. 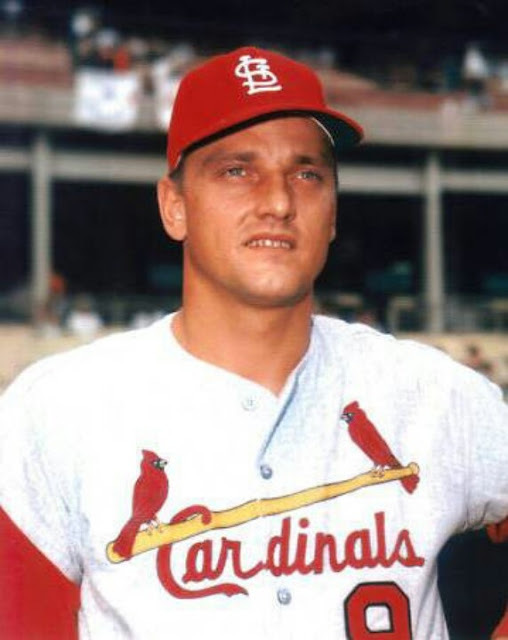 Roger Maris homered to give The Cardinals their only run of the game. Legendary Disc Jockey Murray The K was fired from New York Underground Radio Station WOR-FM after the take-over of AM Programming Genius Bill Drake. The station had built its progressive FM radio format under the premise that (as Murray the K put it) “radio isn’t just for teeny-boppers anymore” … and they pushed the envelope by playing more and more extended album cuts and taking chances on records like “Society’s Child” by Janis Ian, album tracks by Bob Dylan, The Doors, Jefferson Airplane, Cream and Jimi Hendrix … and other tracks of his own choosing. Drake wanted a tightly formatted playlist (in fact he cut the playlist down to about 1/3 of what it used to be and was soon spinning the same 30 - 40 tracks repeatedly throughout the day.) For whatever reason, Bill Drake’s formula worked on the AM Market and other stations quickly adopted the same format throughout the country, simply because it was proving successful. But in 1967, FM radio was still brand new … an untapped resource for a whole new listening audience … and WOR-FM pulled the plug, literally cleaning house of any number of disc jockeys who previously had successful careers on the AM Dial and replacing them with more laid-back jocks who were now enjoying the freedom of pushing the envelope with more of these underground sounds. 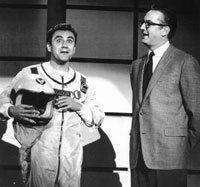 Although Murray the K would go on to work for a string of other radio stations over the years, he would never recapture the audience and the excitement he did when following around The Beatles on their first US Tour or while making musical inroads on the FM dial. 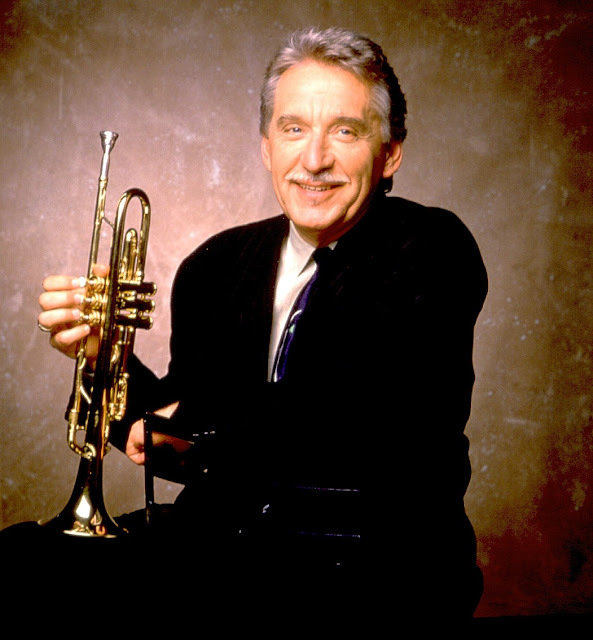 Trumpet Player Doc Severinsen joined The Tonight Show band before Johnny Carson was even brought onboard as the new host. 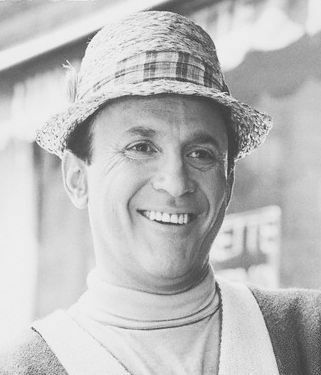 On October 9th, 1967, he took over the position of musical director, replacing long-standing head Skitch Henderson. Severinsen remained band leader until Caron’s retirement in 1992. The Association appear on The Smothers Brothers Comedy Hour. #1 at the Box Office this week? 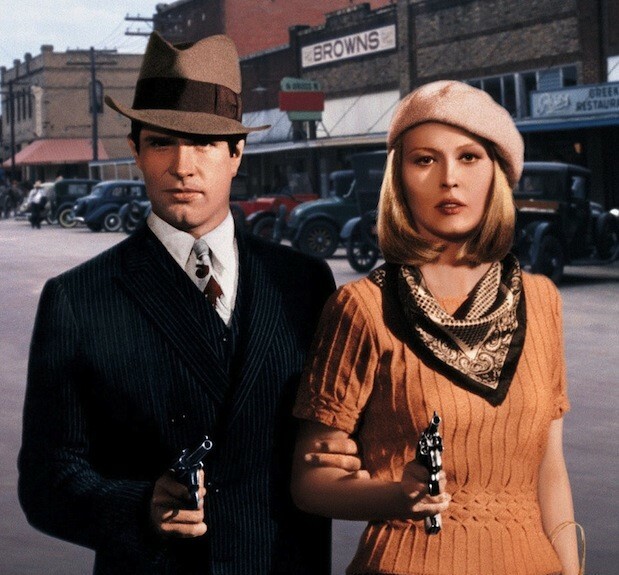 You guessed it … "Bonnie And Clyde". The Warren Beatty / Faye Dunaway flick is an absolute smash, closing in on $25,000,000 in box office receipts. 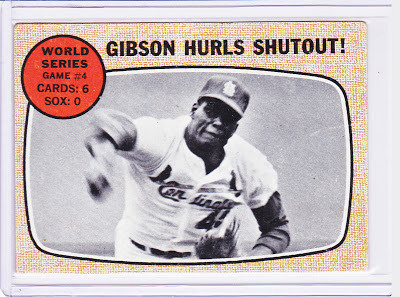 Bob Gibson and The St. Louis Cardinals shut The Boston Red Sox down 6-0 as Gibson won his second World Series game of this competition. Well into the 1960s, stereo records were much more prevalent in the United States than in the United Kingdom. Decca established a subsidiary label, Deram Records (pronounced DEE-ram) on which to release recordings using a "Deramic Stereo Sound" imaging technique. 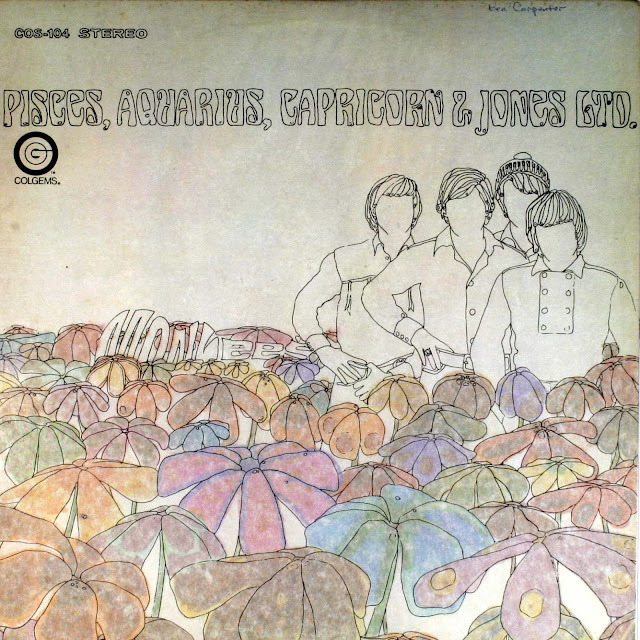 The label recorded a few demo albums of orchestral music, but Decca executives wanted to create a "sampler" record demonstrating the applicability of the technique for pop music product. 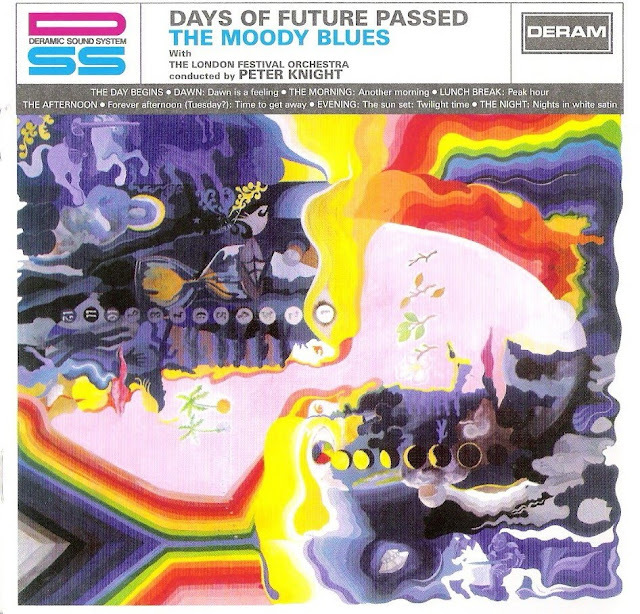 On October 8, 1967, at Decca's West Hampstead studio complex in London, a production team consisting of executive producer Hugh Mendl, staff producer Tony Clarke, engineer Derek Varnals, and conductor-arranger Peter Knight gathered with the Moody Blues as the band began recording tracks for a new "concept" album about the passage of a typical day. With that premise in mind, the band recorded "The Day Begins," Mike Pinder's peaceful composition "Dawn Is a Feeling," Ray Thomas' "Another Morning," John Lodge's frenetic "Peak Hour," Justin Hayward's "Forever Afternoon (Tuesday? )," Lodge's "(Evening) Time to Get Away," Pinder's "The Sun Set," Thomas' "Twilight Time," and Hayward's haunting conclusion, "Nights In White Satin" -- the emotional climax of which is Mike's goose bump-inducing recitation of Graeme Edge's poem "Late Lament." The tracks were, of course, for "Days of Future Passed," the band's groundbreaking masterwork symphonic-infused album. The back cover of the vinyl album had a photo of the band and the production team members in a meeting. "That photo was not staged. It was taken during a discussion in the control room," Mike Pinder told authors Marti Smiley Childs and Jeff March for their book "Where Have All the Pop Stars Gone? Volume 2."